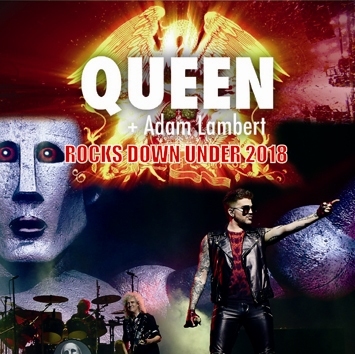 Comments: 2018 Queen + Adam Lambert’s latest Australia tour. Melbourne’s second day performance, audience recorded. Look's like a cover version of 'Men At Work' Down Under song is played. I don't have this bootleg, so I don't know if hole song is played, or just a part. Looks like a complete show. 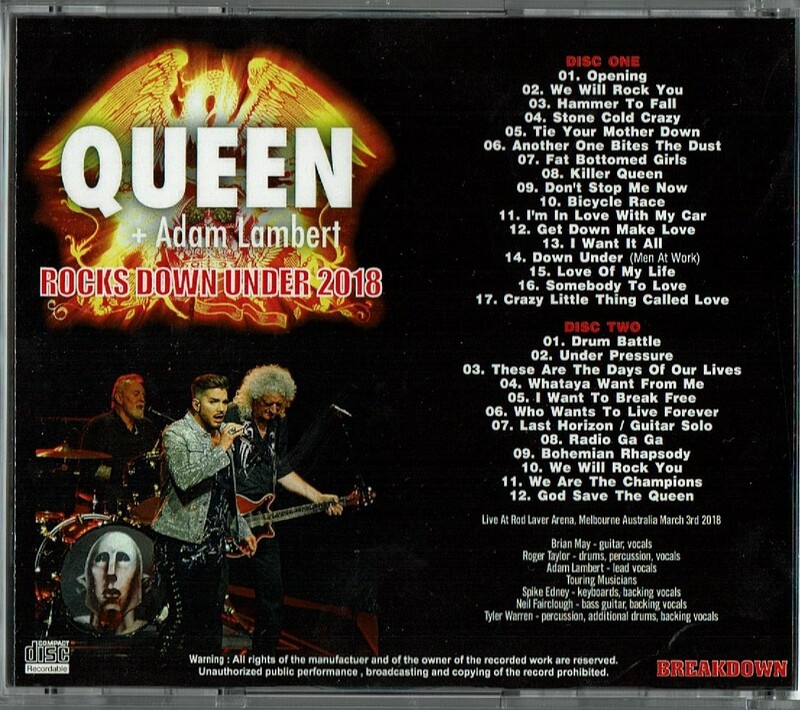 The first pro bootleg from the Australian Tour, as far as I know.